← Who wants to join in the fun? 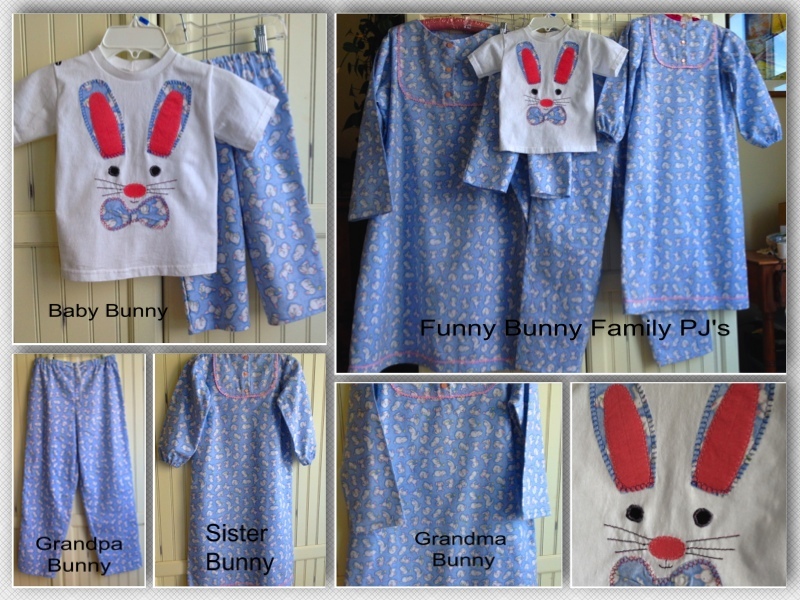 I just completed a family set of adorably cute Christmas Pajamas and Nightgowns. 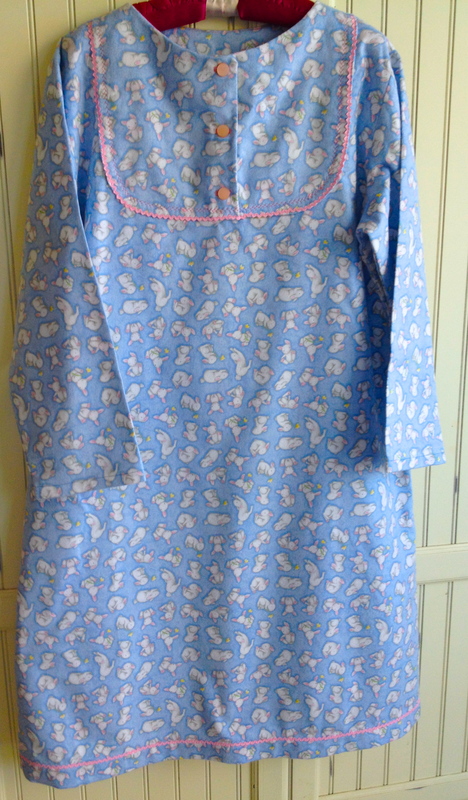 My client brought me 5 yards of bunnies on light blue flannel with the request to make a nightgown for her, and a matching one for her granddaughter, pajama pants for her husband and and pajama pants for her grandson. I drafted all of the pieces based on pajamas that they already had. It is a bit more fiddly and time consuming, but once you draft the pattern you have it forever. Hopefully your client will be back for more and then it’s easier. 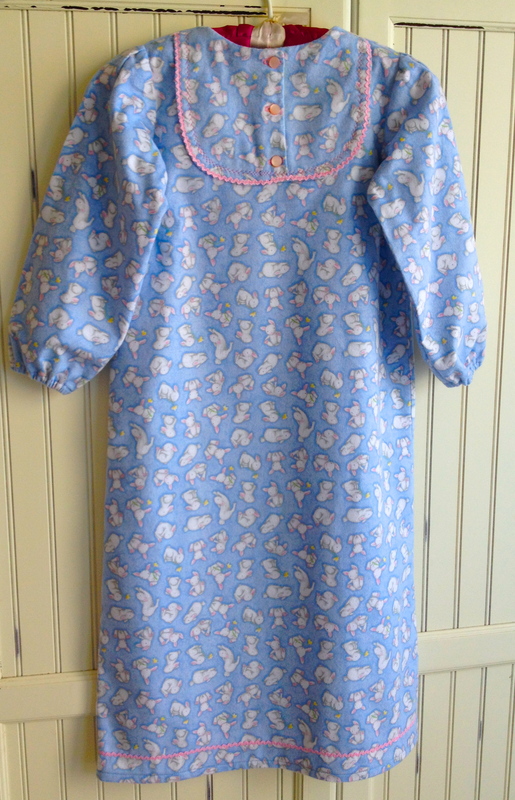 My client included pink ric-rac and pink buttons for the fronts of the nightgowns. I spent one day cutting everything out and then got sidetracked with the inspiration to include an embellished t-shirt for the two year old grandson. I used a brand new upcycled men’s t-shirt for the size 2 shirt. I cut the sleeves from the sleeves, and saved the original hem on the sleeves and bottom of the shirt. I used double-sided iron on sticky pelon to hold the pieces in place and then used different colored threads and machine embroidery stitches to secure them to the T-shirt. I did all of the appliqué before I sewed the shirt together. I used the neck binding from the men’s shirt on the little boy’s shirt, cutting it a little smaller than the opening at the neck. This helps it to lie flat. The next day I sewed and serged, and trimmed and hemmed until all the pieces were finished. I think they look adorable and the quality construction and design is excellent, if I do say so myself. 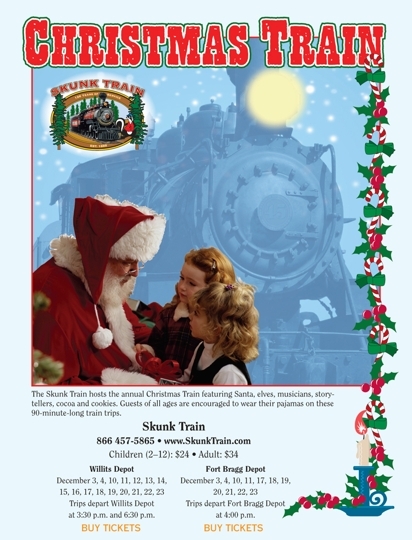 😉 I’m sure the family will be the hit of the party when they ride the Christmas Train in just a few days. I’m glad I could make them all look so darn cute! 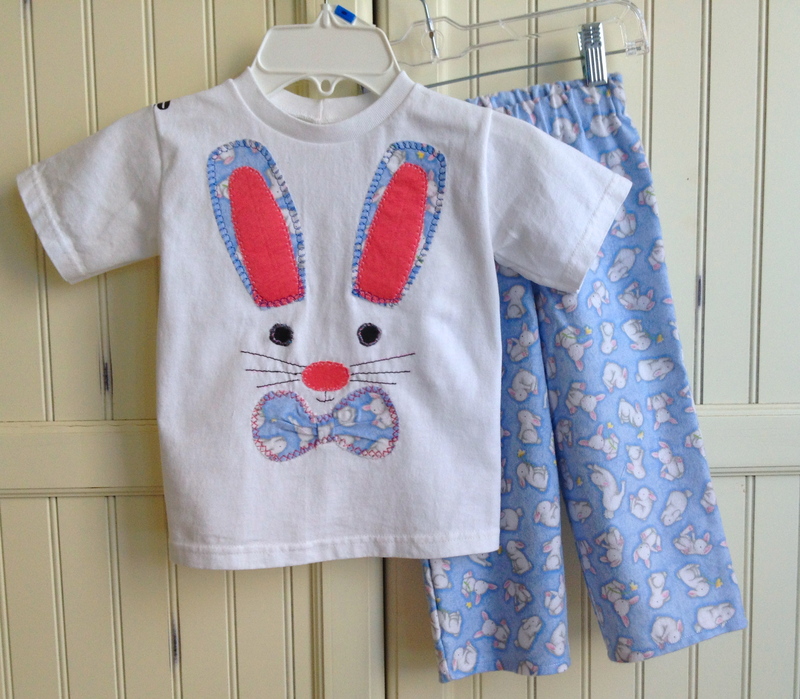 This entry was posted in DIY, Family, Sewing, Upcycle and tagged aplique, bunnies, Christmas Train, diy, Flannel nightgown, Flannel Pajamas, sewing, Skink Train, t-shirt, upcycle. Bookmark the permalink. You made all of these from just 5 yards?? Wow! 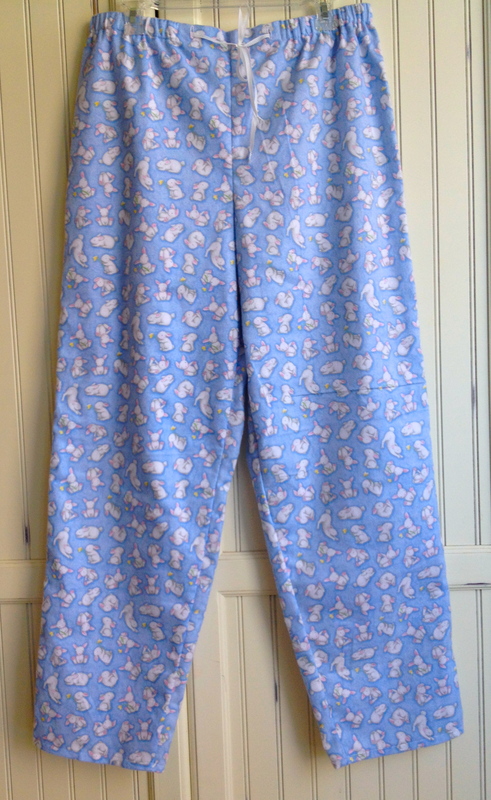 I can only get 1 pair of pj pants out of 3 yards. That is adorable! Looks fabulous to me!